Scrambling perennial of rough, grassy places and scrub. Common and widespread throughout. Leaves comprise 5&SHY;9 pairs of pinnate leaflets ending in branched tendrils. The flowers grow in short spikes of 2-6 purplish-blue flowerss appearong April to October; each flower 12&SHY;15mm long.They are pollinated by bees. The seeds grow in a pod. 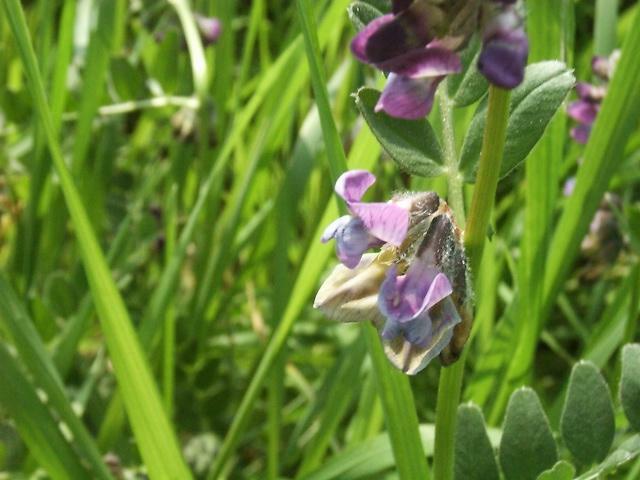 Height up to 1m Bush Vetch grows on slightly acid to calcareous soils in rough grassy places, woodland margins, hedges, scrub, track and roadsides, etc. The plant is very common throughout Britain and Ireland, but scarce in parts of the east.